As I am sure most of you know Tarte has finally arrived in the Uk on QVC with the first show starting on Friday 28th March at 2pm and then 6pm. I thought I would share my opinions on the Tarte products I have so you can have your shopping lists ready for tomorrow’s launch! 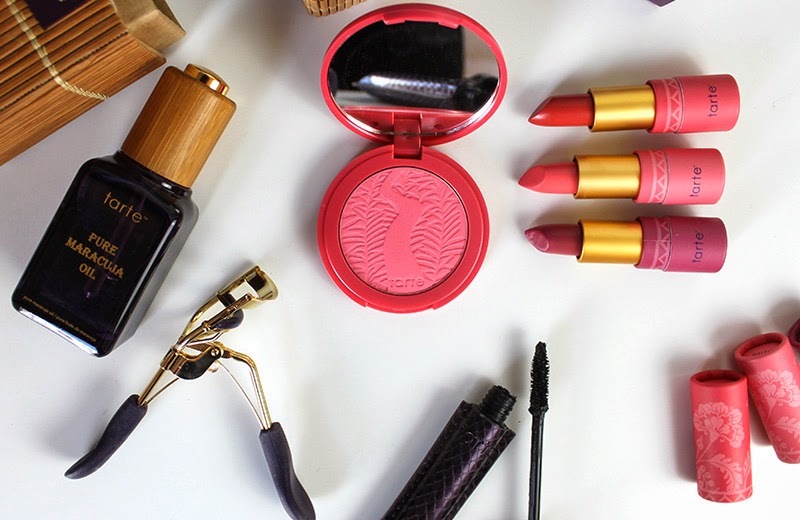 I have a handful of products to try but the item I was most excited for is the Amazonian Clay Blush which I have heard so much about from American Bloggers. I have the shade Fearless which is a beautiful warm pink that would wear on almost any skin tone. It applied really well with just the right of pigment and is very blendable, I’d love to try the other shades if they’re all as good as this one! I’d seen someone wear this mascara earlier in the week and had asked what they were wearing as it was that good. The packaging to Light, Camera, Lashes Mascara is different to anything I have seen and although I like it I think it would get ruined rather quickly if you are not careful. 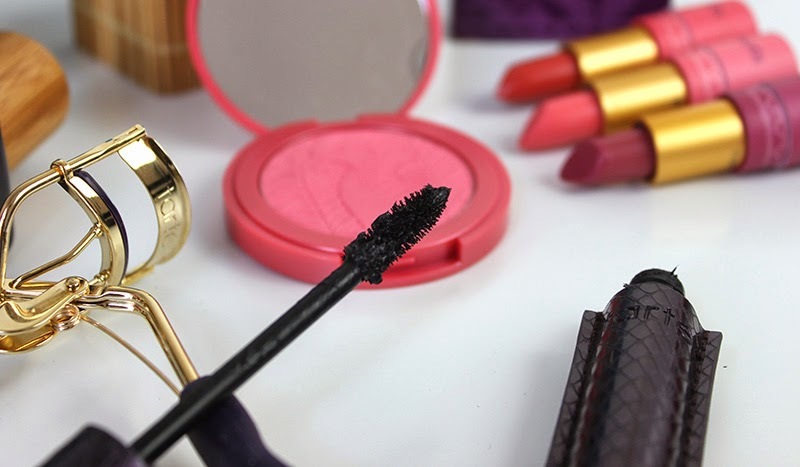 The mascara itself has a pretty standard brush which get’s quite clogged up with product making me think this mascara would get a little better when it has the chance to dry out a little. However I actually think this is a great mascara and I would happily replace some of my favourites with this, it’s incredibly black and gives fabulous volume. 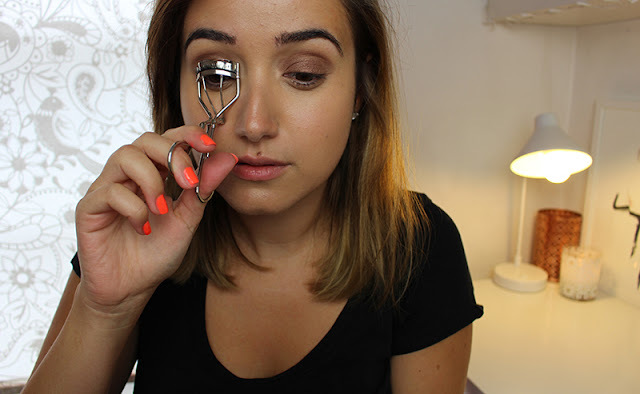 I had also heard the eyelash curlers were good and I love the shape of them although I prefer the handle to also be metal as I think it gives you more control. 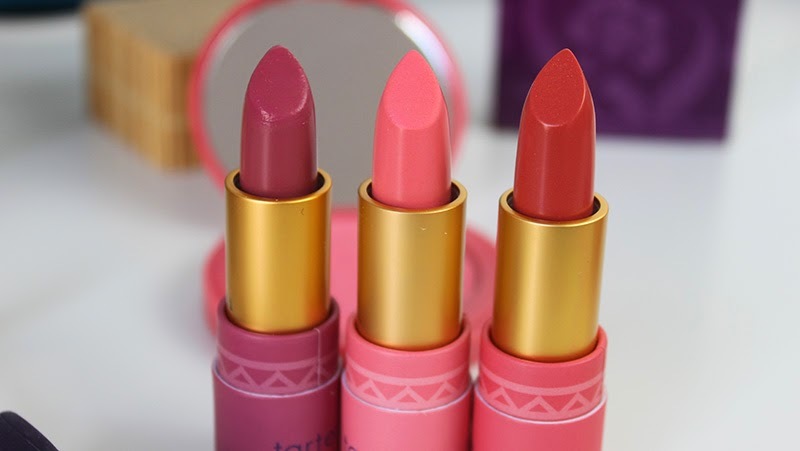 They also have a little Amazonian Butter Lipstick Trio which includes Rose, Golden Pink and Soft Coral. Once again gorgeous packaging but as it is made of paper will get damaged if it takes too many tumbles at the bottom of a handbag. They all apply quite sheer but are easily buildable which I love and feel nice on the lips although can get a little drying after a while. They have a slightly glossy finish which is very flattering on the lips, I love all shades and simply couldn’t choose a favourite. They also have a minty scent which is worth noting but not much of a problem for me. 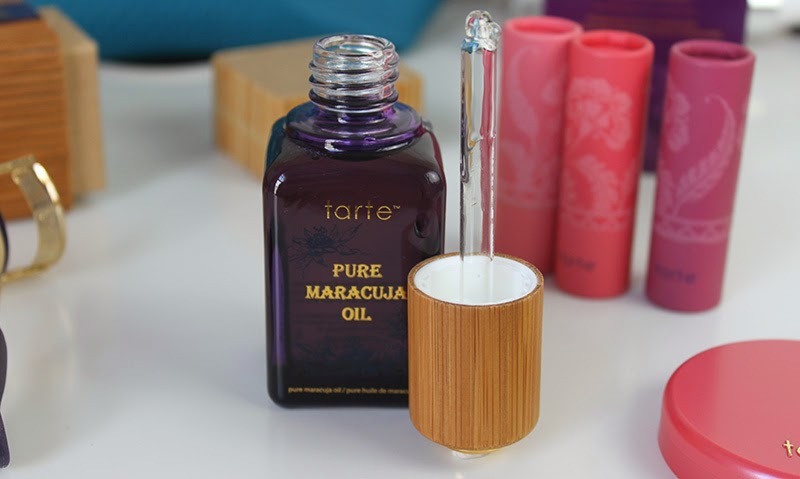 I haven’t yet had a chance to try the Pure Maracuja Oil but will update you once I give it a go. I found the dropper however to not be the best, as product does drip out of it if you aren’t careful and doesn’t happen with my other oils. It also comes in Bamboo packaging which looks great but always makes me feel like I have to keep it instead of just keeping the bottle on it’s own. 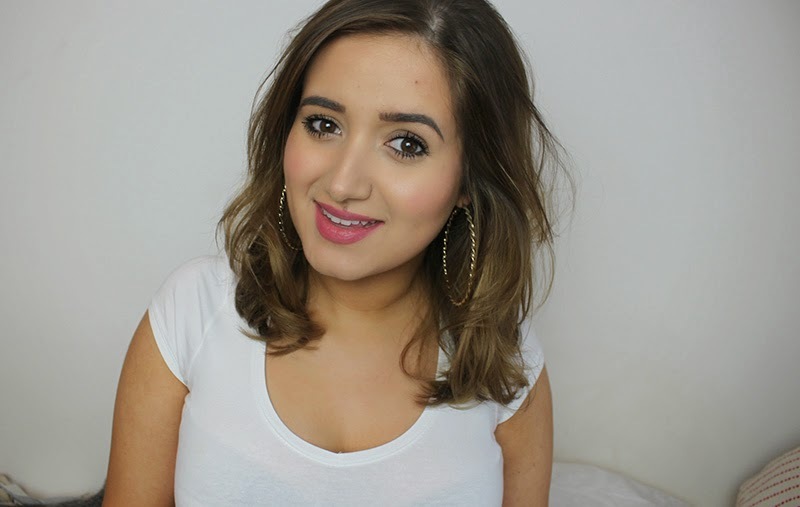 Overall I am very impressed with the range, if you like fuller lashes the mascara is a must-have and I am sure I will repurchase it in the future. The eyelash curlers and blushers are also highly recommended and I can not wait to check out the other colour of blushers. 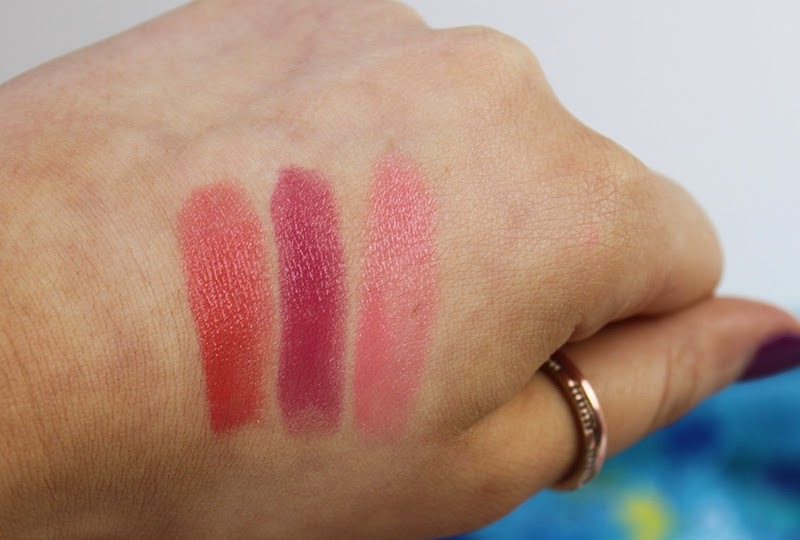 The lipsticks are very cute and the trio would even make a great gift. Have you tried Tarte? What is your favourite product? I can’t wait to explore the range further! Check out QVC (you can even watch live online) tomorrow 2pm-3pm and 6pm-7pm but is already available online with some great introductory offers here.